What is more surprising is that even those celebrated for solving quantum mechanical problems may also say that they don’t know what the theory means, at least in terms of providing some understanding or picture in space and time. Taken at face value, quantum theory provides only a statistical account of the results of measurements, and no description at all of the physical system, before or after or in the absence of measurement. The person most responsible for convincing physicists of this doctrine was Niels Bohr, one of the most important physicists of the twentieth century. Set against him in a famous debate of the 1920-30s was Albert Einstein. Einstein’s best-known complaint about this view of quantum mechanics is “God does not play dice” and rejected the statistical nature of the measurement results, but he was more concerned about the lack of any picture or even description of the system between measurements, lack of realism as it is often put. With two younger colleagues, Boris Podolsky and Nathan Rosen, in 1935 Einstein produced the famous EPR argument, based on entanglement – the demonstration that the wave-function of two particles may be so correlated that the behaviour of each is totally dependent on that of the other. Their argument showed that unless realism is restored, the Universe must be non-local, so that a “cause” may have an immediate “effect” at a different point in space, apparently violating Einstein’s own special theory of relativity. Not surprisingly, Einstein opted for realism and locality – local realism – in opposition to Bohr. However, Einstein’s ideas were fairly comprehensively rejected (except by Erwin Schrödinger, one of the founders of quantum theory, and his famous “cat” argument which backed up Einstein’s views). Application of quantum mechanics proceeded with enormous success before and also well after World War II, both scientifically in predicting the behaviour of a wide range of important systems, and commercially – in particular the transistor, its descendants, and the laser. Thinking about the basics of the theory, though, was frowned on – the mantra was “shut up and calculate”. The most important physics journal, The Physical Review, banned papers debating views opposed to those of Bohr. As early as 1952, David Bohm, a refugee from McCarthyism living in Brazil, produced a good argument for realism, and in the 1960s John Bell finally showed that the standard argument against realism, a mathematical “proof” of John von Neumann from 1932, was wrong. However in another important paper based on EPR, Bell showed that Einstein’s and his own dream of local realism was impossible – at least if quantum mechanics was still correct under entanglement. John Stewart Bell, 1964. SLAC Staff Directory photograph. Courtesy SLAC National Accelerator Laboratory, Archives and History Office, Muffley Collection. Used with permission. This could have been the end for such speculation, but actually it was anything but. While the Bohr-Einstein debate was theoretical, Bell’s work was a direct stimulus to experiment – was quantum mechanics or local realism correct? Such experiments have been carried out with gradually improving technology. While it has been clear for some time that quantum mechanics would win, it is only recently that all loopholes have been removed. It has been confidently predicted that once loophole-free tests had been performed, Nobel Prizes would follow, so we shall wait and see! Even apart from that, the liberation felt from the negativity of von Neumann’s “theorem” was striking. Very slowly, building up in the 1990s and into the new century, a freedom developed to question the ideas of Bohr and to come up with new ideas and interpretations of quantum theory without being denounced as unprofessional and a “crank”. Many of these ideas would probably be disliked by Einstein and Bell as much as by Bohr, but as in any healthy field of science, discussion is open, many suggestions may be made, and the most satisfactory should survive. One of the interesting novel interpretations of quantum mechanics has been that of “many worlds” or “many universes”. In this interpretation, rather than measurement producing a single result in “our” Universe, every possible result is found, each in a different universe. The first suggestion came from Hugh Everett III in the 1950s, but the main proponent today is David Deutsch. Since, unlike Bohr’s ideas it does not need an external observer, it is unsurprising that this interpretation is popular with astrophysicists such as Stephen Hawking. While all this may sound esoteric, it is often found that attention to realism rather than verbal manoeuvring may lead to practical consequences, and in the 1990s quantum information technology has developed to be a major focus of scientific and technical endeavour. The ideas of EPR, Bell, and Deutsch have been central. Deutsch was the initiator of quantum computation, which has been shown to be able to solve, in minutes, some problems considered, in practice, impossible on pre-quantum or classical computers because of the length of time required. Deutsch argues that this speed-up is because different computations are carried out in each of the Many Worlds, though others disagree. The other main techniques in quantum information theory are quantum cryptography and quantum teleportation. The first is a way of passing a stream of information from one observer to the other without any eavesdropper gaining any knowledge. The second is much like science fiction “teleportation”, except that it is only applied to single particles, and is not instantaneous – as Einstein demands the process takes place at a speed less than that of light. Quantum information theory is developing and will continue to develop in many other directions. Like the new ideas on quantum mechanics itself, the comparatively new freedom of thought must be a great boon to those interested in genuine progress in the understanding and application of physics. Featured image credit: Light by geralt. CC0 Public domain via Pixabay. Andrew Whitaker is Visiting Research Professor in the School of Mathematics and Physics at Queen’s University Belfast. 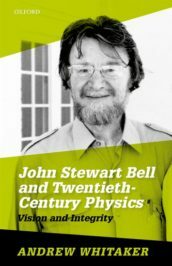 His recent books with OUP are The New Quantum Age (2012) and John Stewart Bell and Twentieth-Century Physics (2016). In practice, most theoretical particle physicists use the ‘Feynman sum over histories’ interpretation — which is just the widely-discussed ‘Many Worlds’ interpretation given a more concrete second-quantized mathematical formulation using functional integration. One can use that to derive the Schrodinger equation and the apparent ‘collapse of the wave function’ of a subsystem as seen an observer who becomes entangled with it, thus deriving the Copenhagen interpretation in the approximation where you choose to treat an observer as a classical subsystem coupled to an observed quantum subsystem. At that point, all the paradoxes go away, but you are left with a view of the fundamental nature of reality that doesn’t fit well with human physical intuition about a classical or semi-classical universe. Isn’t the claim of faster than light communication misleading? The experiment cannot predict ahead of time what the outcome will be of any the entangled objects until after the first is observed. No communication means special relativity is obeyed. Isn’t the word “observer” misleading ?No observer is required. In the double slit experiment no one has to even be in the same room. You just turn on the equipment , and a measurement is taking place. In the famous cat experiment, once the Geiger counter “clicks” that’s a measurement and the wave function collapsed. ( If you believe in that theory. ) Of course if you don’t believe in free will then there is no quantum mystery, one could claim each outcome was conspired ahead of time. :-) Isn’t many worlds a bit of a stretch since there is no evidence or workable theory. Are we to assume each universe is also finely tuned to 10^20 just like our universe? And what would define a “quantum” choice since at the quantum scale entanglement could be constantly taking place in natural processes that require no choice from an experimenter. Would not the number of universe’s far exceed even the most remotely fanciful models of string theory where there are 10^500 possible universes?As for example ,there is some evidence that entanglement may be a common mechanism used by nature in such things as photosynthesis. Common as apple pie or in your case mince pie. :-) both are good. Good day. I think the reason everyone gets so confused about QM, is that QM is not *just* about physics! I think QM actually involves elements of *3* different fields rolled into one (Information Theory, Macroscopic Physics, and Theory Of Mind). The reason for everyone’s confusion is that they are trying to force-fit QM entirely into physics, whereas I think the components of QM need to be carefully separated into the 3 elements I mentioned. (1) Information Theory: The QM wave-function is not in ordinary physical space. 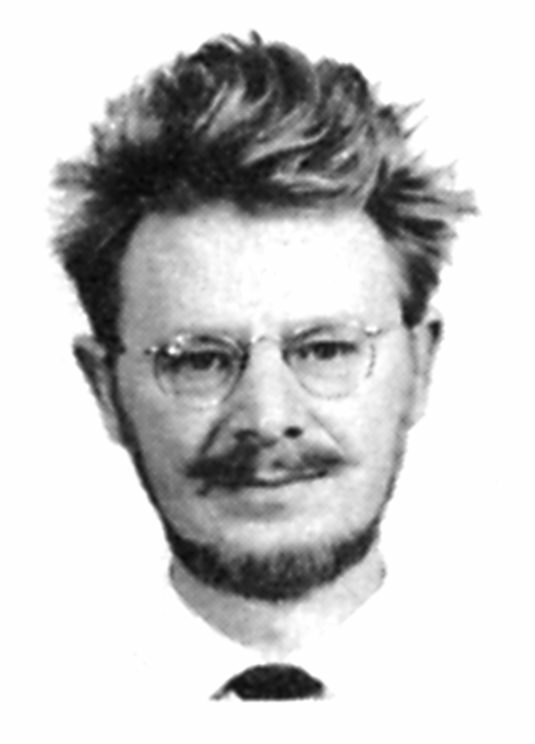 It resides in an abstract mathematical space known as Hilbert Space. This is the first point of confusion. The QM function is actually best thought of as pure information, not a thing in physical space. The combination of abstract information in (1) and theory of observation in (2), produces (3), the actual physical characteristics that make up macroscopic reality. When you carefully separate QM into these 3 components, a fully consistent, realist ontology is possible, and all confusion vanishes.